To the right, that has become me as of late. 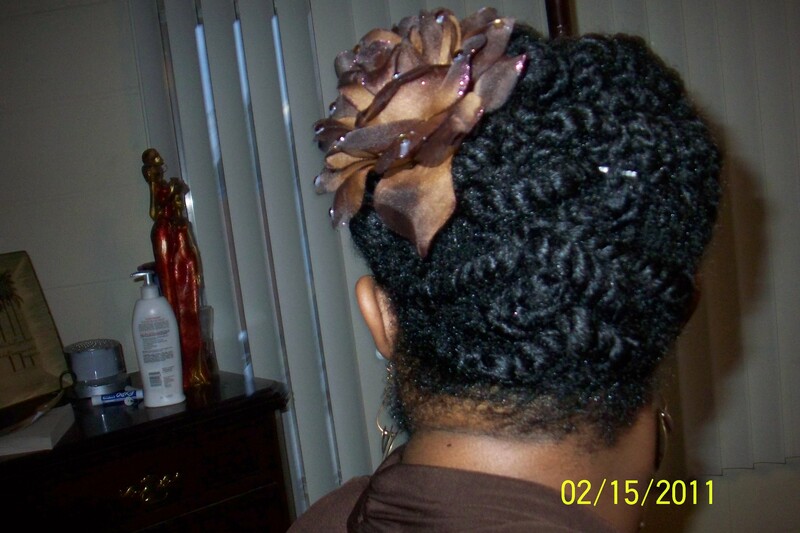 As I tweak my regimen, I realize that right now with the cold winds and all that jazz, the updos are working for me. Today, I cut/trimmed some hair and due to just extra dry ends. That's one of the harder parts of retaining length for me. Keeping my hair moisturized properly. But, I'm working on it. I'm getting it done. I do realize that the harsh winds did push me into trying new hairstyles which is something that I wanted to do this year anyway. Healthy hair is my goal. Still trying to stay the course with Moptop Maven and also Curly Nikki's grow out challenge. I still love SheaMoisture's Curl Enhancing Smoothie on my twists. I used the Organic Yucca & Boabab Thickening Moisture Mist tonight. Hair isn't thin or fine but I love how it smells.